As many of you will have heard by now, the Linear Collider Collaboration was given another three-year mandate by the International Committee for Future Accelerators (ICFA). It took the opportunity to streamline management a little, so from January we will run the collaboration in a smaller and slightly changed team. Let me introduce the new and old management to you. Let’s start with the new members. Shinichiro Michizono is Associate Director for the ILC in the Linear Collider Collaboration from KEK. He takes over from Mike Harrison, who did this (and many other) jobs for a long time and deserves a big thank you for all his dedication, hard work and persistence even in hard times. Thanks Mike! Shin has been working at KEK for more than 20 years and he’s an expert in superconducting radiofrequency. At this crucial time, we hope that putting the ILC into Japanese hands will help the Japanese government take the right decision for the ILC. The new Associate Director for Physics and Detectors is Jim Brau from the University of Oregon. Like Shin he’s no stranger to the community and has held a number of roles in the world designing and developing detectors for the linear collider in the past. 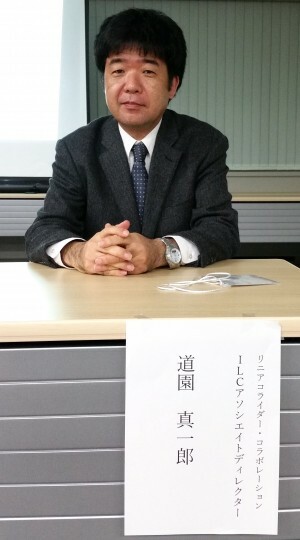 Like his predecessor Hitoshi Yamamoto he is very interested in letting the general public know about the promising physics the linear collider holds. A big thanks also to you, Hitoshi! Associate Director for CLIC has been and will remain Steinar Stapnes from CERN, who is also the project’s leader in his home lab. He explained the staging scenarios for CLIC in the last Director’s Corner, and staging is a topic I believe the ILC should address as well in the near future as a means of proposing a cost-effective collider with a rich physics potential. 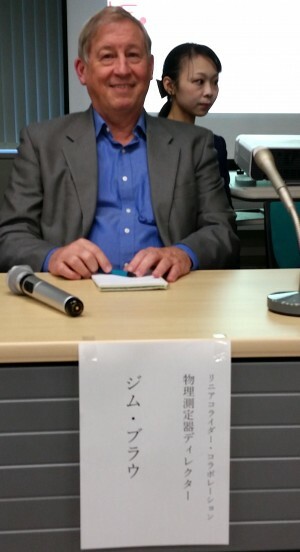 My deputy, science advisor and part-time interpreter remains Hitoshi Murayama from US Berkeley. Finally, as you may have noticed, I will stay on as Director of the Linear Collider Collaboration. With all the contacts LCC management has made in the last three years we believe continuity sends a positive message to politicians – namely that that we’re very keen to get the ILC off the ground! I am very happy that ICFA could convince all of these new and old members of the team to dedicate their energy to the linear collider cause. I would also like to thank the three regional directors, Akira Yamamoto for Asia, Brian Foster for Europe and Harry Weerts for the US, for their help over the last years. I will be happy to serve as Director for another three years. However, it’s probably no secret that we all hope that we do not have to finish our three-year term because that would mean that a decision has been taken and the linear collider is moving on to the next step.